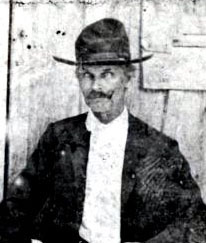 John Tedford Knight, son of Nancy Knight, husband of Mary Young. 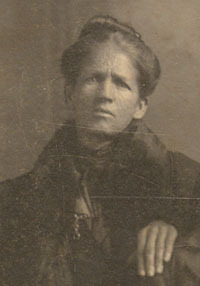 Mary Young, daughter of Zachariah Young and Mary Adeline Coley, wife of John Tedford Knight. Funeral services were held Tuesday morning at ten thirty o’clock for Mr. J.T. Knight, 72 years of age, friends and loved ones gathering at the Baptist Tabernacle to pay a last tribute of respect to the memory of this aged citizen. Following the service at the Tabernacle, the body was borne to Oak Hill Cemetery, and there the commitment service was in charge of members of the Junior Order United American Mechanics, of which he was a faithful member for many years. He was also a lifelong adherent of the Baptist faith, and gave liberally of his means to all worthy causes. Arrangements for the funeral were in charge of Jackson’s undertakers. 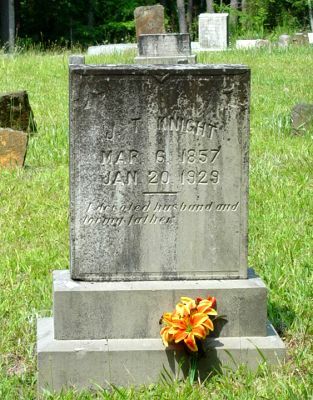 Mr. Knight had been a sufferer for some years from an incurable malady and while the end was not unexpected, his death is a source of keenest sorrow by all who knew him. 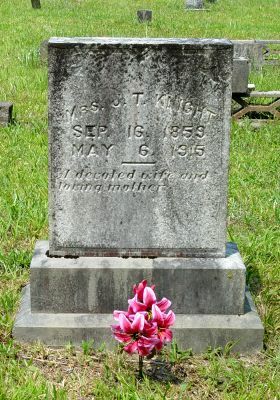 Note: John Tedford Knight is buried at the Old Macedonia Cemetery, not Oak Hill. Note: son C.T. is Charle T.